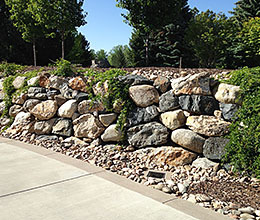 Aspen Falls is a premier landscape, design and construction company serving the Denver Metro Area and surrounding communities since 2005. 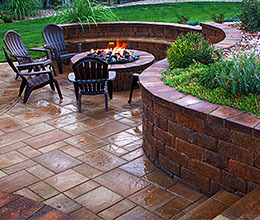 Specializing in custom landscape and construction, we provide top-notch construction and project management that exceed our customer's expectations. At Aspen Falls we understand that our customers are our business and we pride ourselves in the level of service and the quality of product that we deliver. We use only the highest quality, Eco-friendly, and sustainable products in our projects. In choosing Aspen Falls you can be assured that your project will be designed by a degreed professional and installed by our certified and highly experienced team. We will bring our vision, integrity, and industry leading performance to turn your dream into a reality. Aspen Falls takes care of the entire scope of your project. With our comprehensive services, you don’t have to hire multiple contractors. Our team works diligently to provide you with an unsurpassed experience and outcome. Your Designer is with you every step of the way from start to finish. They will help to create your vision and select products and materials that will be sustainable for years to come. One of our experienced Project Managers will work hand-in-hand with your Designer, you, and our Foremen. They will check in on your job site consistently to help with the implementation and accuracy of development. One of our industry trained Foreman work alongside our crews to oversee all construction. We believe in working as a team and providing constant communication to set us above and beyond other companies. 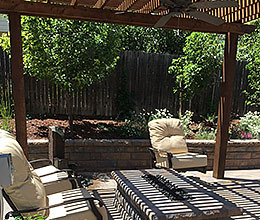 I hired AspenFalls to create and design my backyard for a brand new home we purchased. From the first meeting with them, I was impressed with their professionalism and desire to deliver a high quality product. 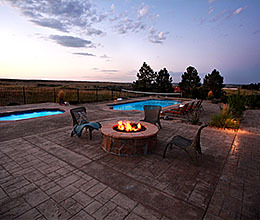 Once we decided on the plans and the budget, they delivered everything on schedule and finished the yard to perfection. They are a pleasure to work with and all of their staff fits into that category. It has been about 3 years, and my family and I could not be happier with the finished product as well as the recommendations they made to make it an enjoyable part of our home.